BDG International is a licensed Customs Broker with ABI interface with U.S. Customs. Using our sophisticated brokerage software and trained team members, we can provide your company with fast and efficient clearance services at any Customs Port in the USA. We provide full reporting capabilities for analysis of commodities, HTSUS numbers, duty rates, transit time and pricing. We are experts in handling clearances on products regulated by additional government agencies such as: FDA, USDA, FCC, ATF, and others. 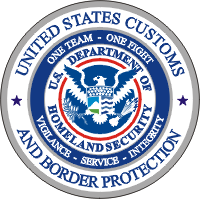 Our Customs Brokerage services include: Binding Rulings. Protests, Petitions, HTSUS Reviews, Corporate Name Change Filings, and FDA Reviews.